Anthony W. Rock was born on the 30th June 1974 in Brooklyn, New York City USA, and is probably best recognized for being not only a stand-up comedian, but also an actor, who has starred in a number of TV and film titles, including “All Of Us” (2003-2007), “Think Like A Man” (2012), and “Mann And Wife” (2015-2016). He is also known as the host of “Apollo Live”. He has been an active member of the entertainment industry since the early 2000s. So, have you ever wondered how rich Tony Rock is? According to authoritative sources, it has been estimated that the total size of Tony’s net worth is over $4 million, as of mid- 2016, accumulated during 15 years in the entertainment industry as a comedian, actor and host. Tony Rock was raised in Bedford-Stuyvesant district of New York City with nine siblings, by his father, Christopher Julius Rock II, who was a truck driver, and his mother, Rosalie Rock, who worked as a teacher and social worker for the mentally handicapped; one of his siblings is Chris Rock, who is known as a comedian and actor as well. Tony slowly built his professional career and his overall net worth in the early 2000s, when he began performing as a stand-up comedian in the local clubs in New York City. As he distinguished himself in that field of entertainment, he was named in 20001 as one of the top young talents by Hollywood Reporter. In no time, he became a member of Boston Comedy Club, Comic Strip, and Stand-up New York, which increased his net worth by a large margin. Recently, he began to perform at the Apollo Theater, alongside John Henton and Mark Curry. In addition to his career as a stand-up comedian, Tony began appearing on the screen, when he made his debut as a reporter in the TV show “BattleBots”. Subsequently, he featured in such films as “Me & My Needs” (2001), “Homie Spumoni” (2006), and “Life Support” (2007). In 2003, he earned the role of Dirk Black in the comedy TV series “All Of Us” (2003-2007), after which he was featured in the film “Three Can Play That Game” (2007), playing Gizzard. All of these appearances contributed to the size of his net worth. In the following year, he continued with success, as he was selected for a role in the TV sitcom “Everybody Hates Chris” (2008-2009). 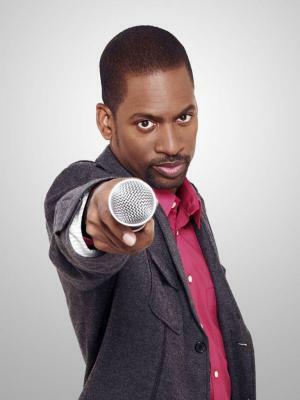 During the same year, Tony created his own TV comedy sketch series entitled “The Tony Rock Project”, in which he starred as well. His next big role came in 2012, when he starred in the film “Think Like A Man”, directed by Tim Story, increasing further his net worth. Most recently, he has featured in such films as “The Big Leaf” (2015), and “All Stars” (2015), and starred in the TV series “Mann And Wife” (2015-2016), which have also added to his net worth. When it comes to speak about his personal life, there is no information about Tony Rock, although he is active on social media platforms, such as Twitter and Instagram. His current residence is in Los Angeles, California. 1 Cousin of Sherrod Small. 2 Entered a guilty plea to DUI charges at Los Angeles County Criminal Court on May 29, 2009. Will be on probation for the next 36 months and must enroll in an alcohol education program. 3 Arrested for DUI by the California Highway Patrol on February 18, 2009. 4 Son of Rose Rock and Julius Rock. 5 Brother of Kenny Rock and Chris Rock. 6 Brother-in-law of Malaak Compton. 7 Has 7 brothers and 1 sister.